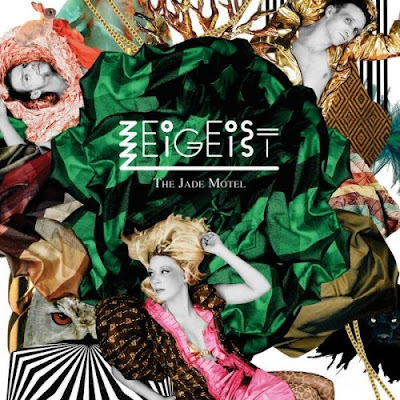 One of my favorite electro-pop bands Zeigeist from Stockholm, Sweden are finally set to release their Debut Album 'The Jade Motel' April the 30th! Pretty excited, been digging them for awhile. Even picked their single Black Milk which is also on the album as one of my favorite singles of 2007. Fans of bands like The Knife who they are constantly compared to (her voice's resemblance is uncanny!) will love Zeigeist. 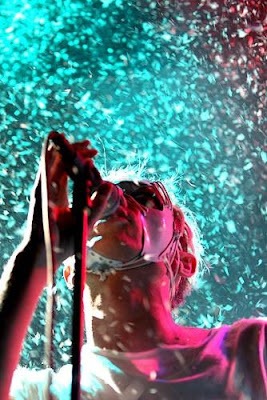 They are a great mixture of bands like early Fischerspooner's live theatrics and The Knife's dancey sound. You can preview the whole thing albeit 30 sec samples on amazon. I managed to get a hold of 'Humanitarianism' which is set to be their first single and the lead-in track to the new album and 'Bunny' which I bought on Itunes. You can also listen to 'Wrecked Metal' another new track on their MySpace player. If you like these I recommend you pick up the whole thing when it becomes available later this week. Not sure if it'll be on Itunes, but I think you can buy it directly from them on their MySpace page and on Amazon Wednesday.